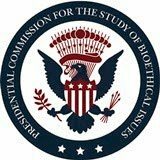 This week’s Research Ethics Roundup explores ethical issues related to the conduct of research in resource-limited settings and reproducibility, as well as issues related to the development of Ebola treatments. Read on to find out more and discover what’s happening in the world of research ethics and oversight. A Failed Trial in Africa Raises Questions About How to Test HIV Drugs: Donald J. McNeil Jr. reports on a clinical trial that was recently halted in South Africa, Zimbabwe, and Uganda in this article for The New York Times. The failed trial, which sought to evaluate the efficacy of HIV pre-exposure prophylaxis, has brought to the forefront questions about the ethical conduct of research in resource-limited settings. In Rush to Develop Ebola Therapies, a Debate Over Placebo Control: The Presidential Commission for the Study of Bioethical Issues met last week to discuss ethical considerations of neuroscience research, as well as the public health to Ebola. In this blog post, Matthew Davis summarizes the Commission’s discussion regarding the use of placebos in the development of new Ebola therapeutics. Look to Animals to Cure Ebola: In this op-ed from The Baltimore Sun, Frankie L. Trull, president of the Foundation for Biomedical Research, reflects on the use of animal research in the development of vaccines and therapeutics for infectious diseases, including Ebola. Trull provides specific examples of Ebola therapeutics that have benefited from the use of animal models. Sweeping Plan to Revamp Biomedical Innovation Includes Controversial Ideas for NIH: In January, the US House of Representatives, led by Fred Upton (R-MI) and Diana DeGette (D–CO) of the House Energy and Commerce Committee, issued a discussion draft of the 21st Century Cures Act.